Genevieve A. Griffith, age 93, of Wildwood Avenue, Salamanca, New York passed away suddenly Sunday, September 1, 2013 shortly after arrival at Buffalo General Hospital, Buffalo, New York. Born on August 3, 1920 in Great Valley, New York she was the daughter of the late Carl and Agnes Chase Chamberlain. On March 12, 1938 in Great Valley, New York she married James D. Griffith who predeceased her on April 28, 1981. Gennie was a sweet and loving lady who always had a smile. Purchasing their home on Wildwood Avenue in 1946 for $2000, she raised 7 children there. Widowed for over 30 years, she stayed active in her children's, grandchildren's and great grandchildren's lives until the end. She loved to travel, eat out and see people. While her husband served in WWII, she helped with the war effort, both in Eldred, PA and at a munitions factory in Buffalo. 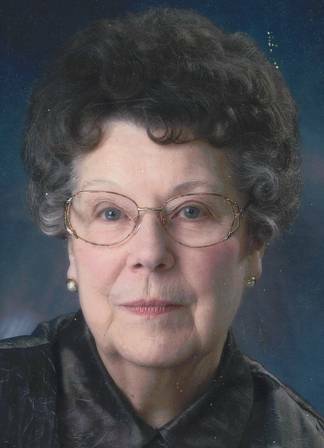 She was a long active choir member, member of St. Ann's Guild, and Treasurer for St. Mary's Episcopal Church. She was a member of Mizpah Order of the Eastern Star #162. She was an avid Jim Kelly fan. In 2006, she was Salamanca's Silver Belle. She volunteered for Meals on Wheels, was a Ward 3 Election Inspector, and had a wonderful sense of humor. Most of all, she treasured her family and will be deeply missed. She is survived by her children; Dona (Kenneth) Clark, Dothan, Alabama, Valerie Brundage, Salamanca, New York, Patricia Cragg (Ronald Simmons), East Rochester, New York, Honorable James K. Griffith (Cattaraugus County Clerk), Salamanca, New York, Michael (Karen) Griffith, Olean, New York, Lynn (Brad) Harrington, Salamanca, New York, Daniel Griffith, Salamanca, New York; her grandchildren, Kenneth Clark, Karen (Scott) Gleidt, Kay Mitchell, Kevin Clark, all of Dothan, Alabama, Steven (Sandi) Brundage, Susan (Darryn) Fiske, Shelley (Greg) Herrick, all of Salamanca, New York, Kelly (Michael) Witter, Newark, New York, Kristy Cragg (Fiance Adam Sokol), North Carolina, Amy Griffith (Fiance Brian Haynes), Lisa Griffith, all of Richmond, Virginia, Adam Griffith, Henrietta, New York, Evan and Brynn Harrington, both of Salamanca, New York; 8 great grandchildren. Besides her husband, she was predeceased by 2 brothers, Frank Chamberlain and Carlyle Chamberlain; a sister, Dorothy Babcock; and 2 sons-in-law, James M. Brundage and George K. Cragg. Friends may call on Wednesday, September 4, 2013 from 2-4 and 7-9 P.M. at the O'Rourke & O'Rourke Inc. Funeral Home, 25 River Street, Salamanca, New York. Funeral services will be held on Thursday, September 5, 2013 at 11 A.M. at St. Mary's Episcopal Church, 99 Wildwood Avenue, Salamanca, New York with the Rev. Michael Lonto officiating. Burial in Wildwood Cemetery, Salamanca, New York. The family suggests memorials to the Western New York Chapter, Cystic Fibrosis Foundation, 1775 Wehrle Drive, Suite 150, Williamsville, New York 14221.